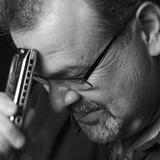 Learn half-valving from the master of the half valved diatonic harmonica, PT Gazell. Discover how the half-valved approach can allow you to access musical possibilities not possible on standard diatonic harmonicas! 8 lessons by the master himself! PT Gazell has earned his position as a master of the half valved diatonic harmonica. After years being the sought after side man and session player for some of Nashville's greatest, PT Gazell discovered half valving and his music literally soared to new heights. In this course, you'll learn how his half-valved approach can allow you to access musical possibilities not possible on standard diatonic harmonicas. PT is a truly inspiring harmonica player and a great educator. Grab your Gazell Method key of C harmonica and let's go! If ever you need assistance, you can contact PT anytime using our tutoring feature on this page.